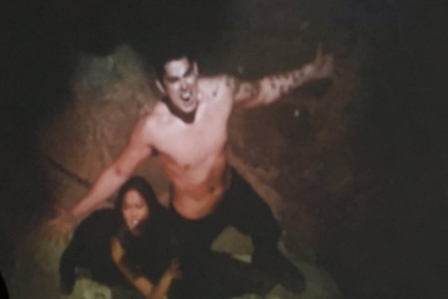 Watch: Richard Gutierrez' Teaser as the Vampire King Sandrino in "La Luna Sangre"
After signing a contract as a Kapamilya talent last Wednesday afternoon, May 31, 2017, Richard Gutierrez was also officially announced to take part as a villain in the much anticipated epic fantaserye "La Luna Sangre" starring Kathryn Bernardo and Daniel Padilla. The series also serves as Richard's first TV series project with the Kapamilya network and the small screen reunion with former ka-loveteam Angel Locsin. The playdate of the series is yet to unveil. It is said to replace "My Dear Heart" which will conclude sooner this month and will be pitted against "Mulawin Vs Ravena," the sequel of his top-rating fantasy series in GMA-7 which launched his career and putting him and Angel on great stardom! Richard further revealed that playing a vampire is his dream role! 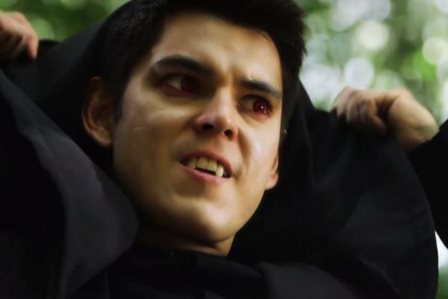 Are you excited to see Richard Gutierrez now portraying a villain in a teleserye? !